"brilliant course! Thank you so much for the patience, the laughs and (some) falls too. I've been raving about the skating lessons to my friends too so expect some coming your way later in the year!" I'd like to skate to work and my instructor said it would be possible within weeks. It took one course to do it via the pavement and another course to take the roads. 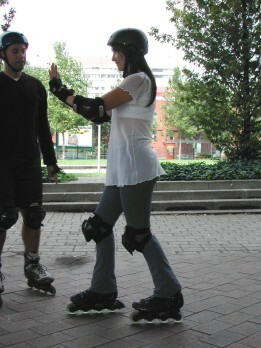 My instructor was the founder of the Friday night skate and Sunday Rollerstroll so I was in good hands! 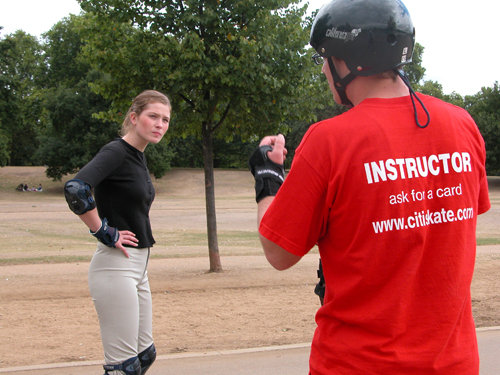 Our rollerblade courses have received five star reviews from Timeout, London course meisters Hotcourses as well as TNT magazine. Kids looking to keep active this can join Wheel Excitement Summer Camp in Kensington Gardens running throughout the summer holidays. 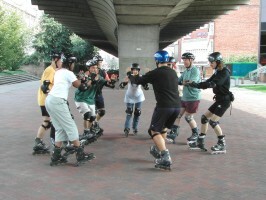 The programme runs 10am-4pm Monday to Friday and features inline skating and skateboarding skills and games. skating article about night skating. Courses are also available later in the year. Over 40 and worried you'll be swamped by kids? 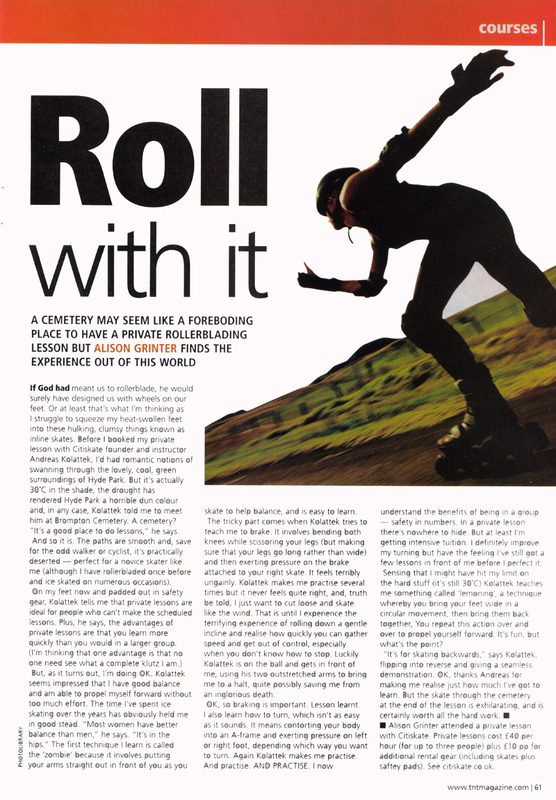 We had a reporter from The Sunday Times come along and found most skaters were over-thirty! Note that we only rent equipment with lessons. That was fifteen years of skating the London Friday night skate! We've come a long way baby! In May 2016 the London Friday night skate was 15 years old! Over the years Britney, William and even the sleepless insomniac David Blaine have all been there, done that and got the T shirt. Starting in May 2006 we followed the London-based route of the famous Monopoly board with everything from Old Kent Road to Mayfair. And there were balloons. And free Red Bull. Please send your feedback and photos on the website below. Full details on the Friday Night Skate website.